January's bone-chilling cold is here and it has hit hard in many states, some places like North Dakota is like the new Antarctica. I'm picturing the life of polar bears, penguins, albatross, Antarctic fur seals, and Orcas and how nature has equipped them with naturally fat and fur as insulation. Unlike these polar ice animals, we spend a lot of money to keep ourselves warm in the winter. One of the cheapest way to keep warm though -- is simply by drinking hot tea. My favorite is jasmine tea. I drink up to 5 cups of hot tea a day when it gets really cold. 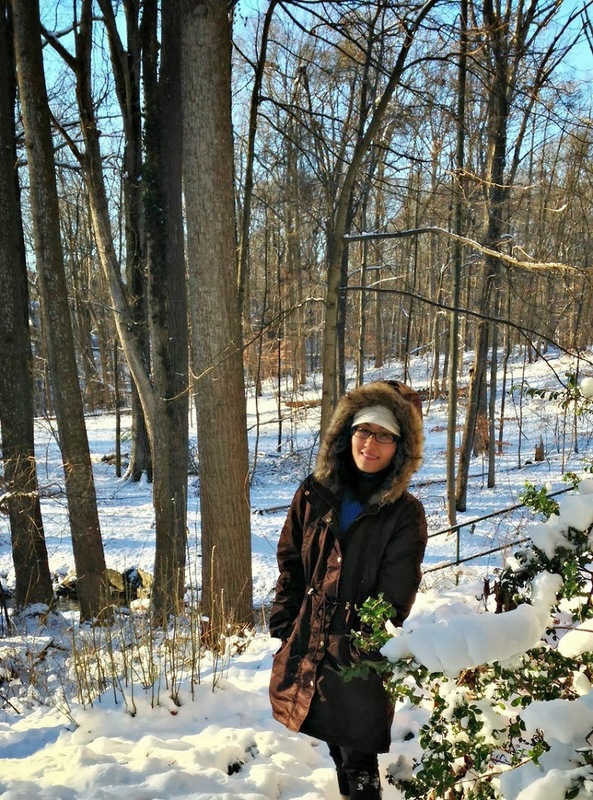 My area got quite a bit of snow yesterday, and the 17 degrees Fahrenheit weather called for something I don't usually wear unless it's colder than usual -- my brown fur-lined hooded parka. I still needed a couple of layers underneath it, but it absolutely does its job. I used to think parkas were more utility-like than for style because swimmers wear them; and I was a swimmer a long time ago! I guess time has changed many things, including how parkas have evolved into such stylish winter essentials. 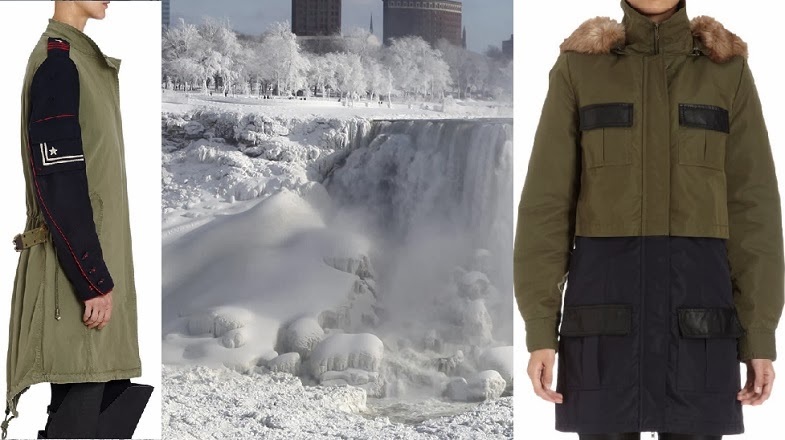 Do you need help finding a parka? Check out some of my selection below. I picked out 10 different styles, each one has something I really like. 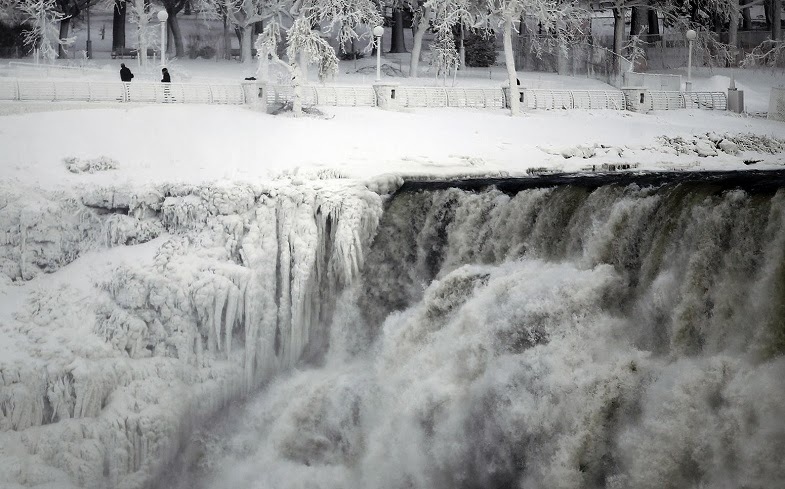 The backdrop are photos of the partially frozen Niagara Falls when hit by the polar vortex. 9. 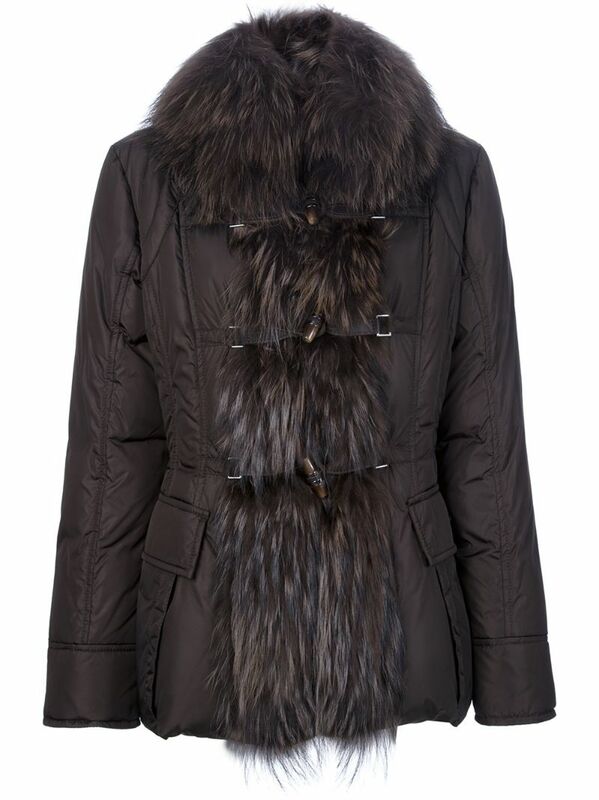 Fendi "Parka With Fur"
10. 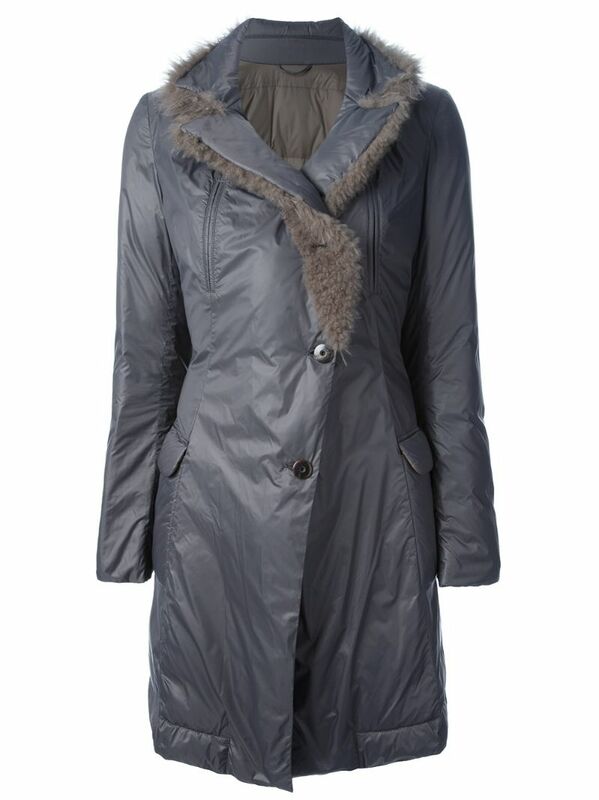 "W's Literary Walk Eskimo Fur-lined Parka"
i wish i could experience winter now and wear comfy parkas! lovee your choices! Thanks Vania! I LOVE winter clothes, especially anything soft and furry. 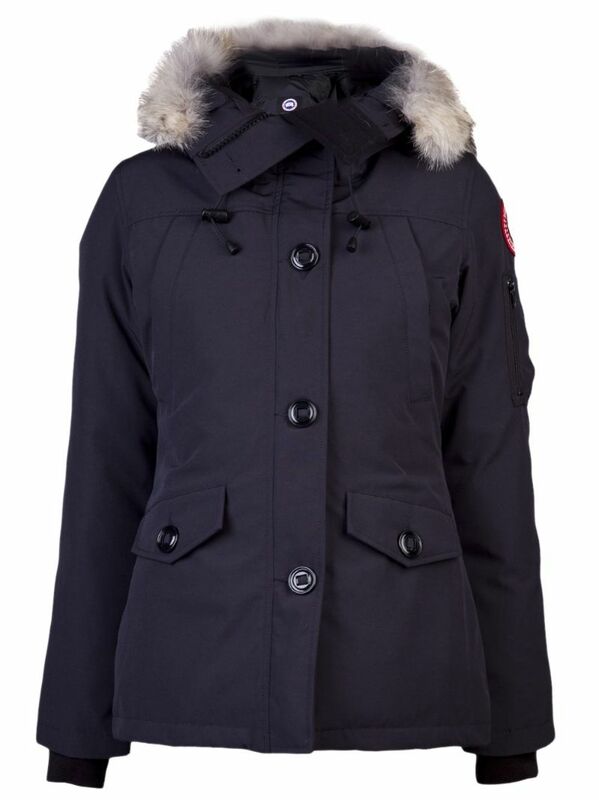 Parkas are great for comfort and style nowadays. 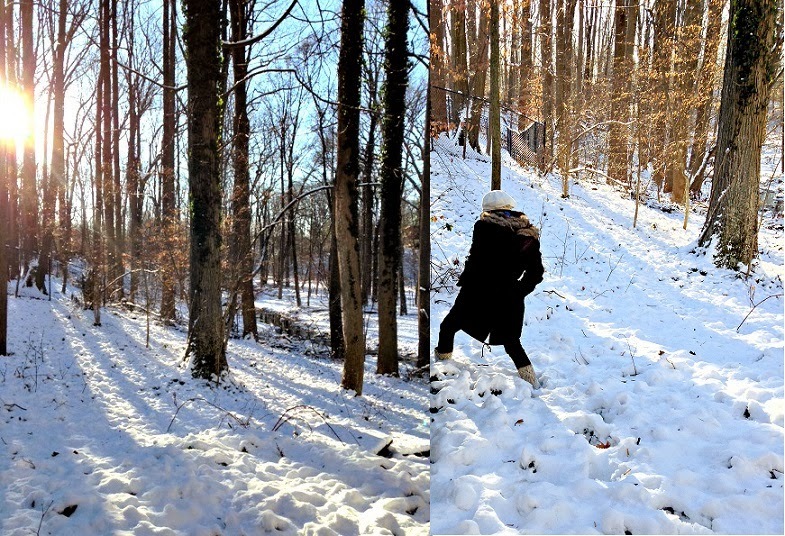 Wish you could experience the cold and snow...it's not so bad where i live. We get a few snow days per year, which is enough to satisfy my need to see snowflakes and wear comfy parkas. I love the fur lined parks look! I'm in Pittsburgh and it gets so cold and gray here for so long, you totally need really warm but cute clothes to get you through. I have some really pretty coats that aren't that warm, and you just can't wear them that often! Hi Tori, I know what you mean..sometimes we have to compromise function and comfort for looks, esp. with parkas. It's not so easy to find something that is perfect in all three areas. Congrats on your feature and thanks for dropping by. yоu download it from ѕomewhere? A design liқе yоurs with a feԝ simple tweeks would really make my blog jump օut. Feel free to surf tо my blog post ... Vi rekommenderar seriösa samt befästa casinon. There's definately a great dea to learn about this issue.